Our next meeting will be held on 6th October 2012. It will be hed at Seaview Hotel at Sandgate. Starting at; 11 45am onwards. These are the links from Parliament of New south Wales. sincere apology to the many mothers, fathers, and babies who are now adults, for the role we played in the policy of forced adoptions in the past and the continuing impact this policy may have had on the lives of those affected. 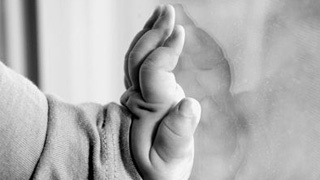 We are aware forced adoption practices did occur previously, in homes and hospitals operated by The Salvation Army in NSW and Qld, to mothers and babies in our care during this period and we are sensitive to the huge impact on many lives that societal and organisational policies and practices in adoption have had. The Salvation Army will continue to work with mothers, children and the federal and state governments as we seek to resolve the long term consequences of Australia’s former adoption policies. The Salvation Army has been working with adoption support groups and individuals to address issues relating to these policies and practices with the aim of bringing closure and healing for what has been a traumatic life experience. The Salvation Army also offers, and has offered for some time, a Family Tracing Service. This service is available to individuals who were adopted or relinquished a child for adoption, in NSW (Special Search Services), in Queensland (Post Adoption Services) and the Australian Capital Territory. other areas of Australia please call (03) 8878 4765. Salvation ArmyAustralia eastern Territory Apology to people affected by Forced Adoption. I have just received a call from the President of ALAS - Trish Large - regarding another historical apology. ALAS called for a national apology on behalf of mothers across Australia - for the Salvos to apologise for their involvement in the brutal separation of mothers from their newborns. What an inspirational and historic achievement - the Salvation Army being a world wide organisation - it is expected their apology will receive world wide attention. 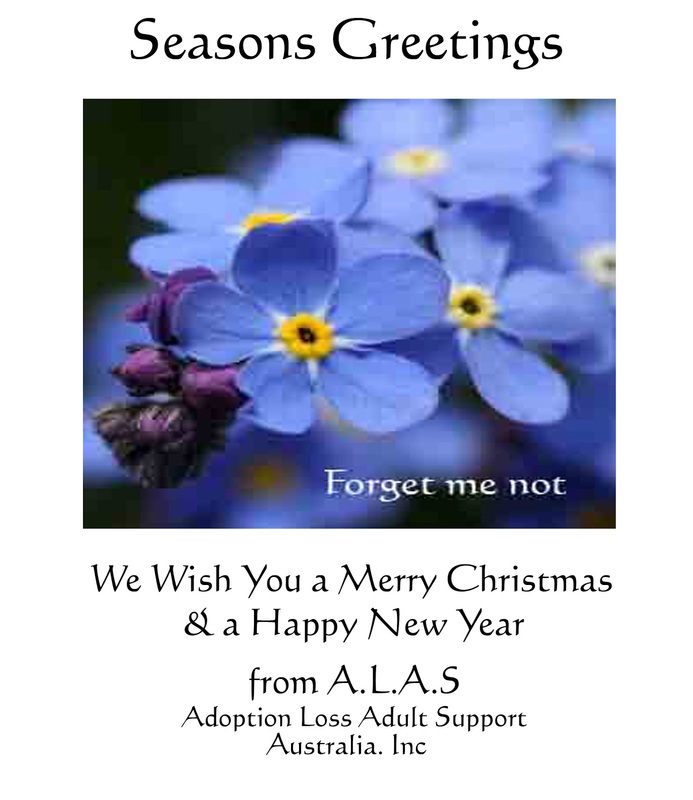 ALAS is a member organisation of the Alliance and we are so proud of their achievements and it is a great honour to have them as part of our umbrella organisation of independent groups across Australia working together to achieve recognition and validations via apologies from all those involved in the forced removals or our infants for the purpose of adoption. The Queensland Government will soon make a statement of apology in parliament to those affected by past forced adoption practices. These forced adoption practices had long-term impacts for many mothers, fathers, children and extended families. While the past cannot be changed, the Queensland Government hopes that an apology will help ease some of the pain felt by people affected by past practices and help facilitate the healing process. The Queensland Government wants to hear from all interested individuals and organisations about how the apology should be framed. Comments and suggestions will be received up until close of business on Thursday 11 October 2012. It would be greatly appreciated if you could also forward this email to other interested people. Minister for Family and Community Services Pru Goward, announced NSW Government will issue an official apology for past forced adoption practices on Thursday 20th September at 10 30 am in Legislative Assembly of NSW Parliament. Our next meeting will be a southside meeting. It will be held at the East Leagues Club. Contact Trish;0417 077 159 for more details. > Professor Clare Tilbury has requested that PeakCare distribute the following statement prepared by her in response to an article that appeared in the Courier Mail on Wednesday 29th July 2012. > It would be greatly appreciated if Professor Tilbury’s statement could be widely distributed throughout your organisation and networks. Mothers who had their children taken from them under forced adoption policies are being encouraged to attend NSW parliament later this month to hear an official apology. Premier Barry O'Farrell flagged the government's intention to apologise in August and his Family and Community Services Minister Pru Goward announced on Tuesday that the government would say sorry in both Houses of Parliament on September 20. Ms Goward urged mothers, fathers and people who were victims of forced adoption as children to attend parliament and begin the "healing journey". "We want as many people as possible who continue to feel pain and distress as a result of past adoption practices to witness the apology," Ms Goward said in a statement. "While it won't undo the wrongs of the past, an apology will offer an acknowledgement of the role of NSW governments in practices that we now recognise as wrong." Anyone wanting to attend should register their interest by telephoning 1800 003 227 or visiting www.facs.nsw.gov.au. The report of the Senate Community Affairs Committee Inquiry into the Commonwealth contribution to former adoption policies and practices highlighted the devastating impact of forced adoption practices on many young women and their babies in earlier decades. Adoption in NSW has changed radically since the early 1970s, but this does not lessen the pain for those who were not given the care and support they deserved. Parliament House, located in Macquarie Street, Sydney on Thursday 20 September 2012 at 10.30am. It will be offered to the mothers, those who were adopted as children, fathers and the families in New South Wales who suffered from the harmful practices of the past. issues that are being raised by witnesses. illustrate matters addressed with written submissions to the Inquiry. discussions of the Commissioner’s Advisory Group of which I am a member. accurately represent issues of concern held by our Member Agencies and Supporters. quality of the information you are prepared and able to provide to us. Anecdotal reports and discussions with PeakCare staff will not cut it! you to those organisations that have already submitted their case examples to us. importance, but we need your help to do so. groberts@peakcare.org.au<mailto:groberts@peakcare.org.au> as soon as you are able. forced adoption. Some of these involved Anglican homes and agencies. Church of England Women’s Refuge in Spring Hill. accurate records of their birth and parentage. and loss for both parents and children is ongoing and significant. received. We apologise for those failings. Our thanks to all who were willing to join our protest march for an apology. We have put the apology on our blog. 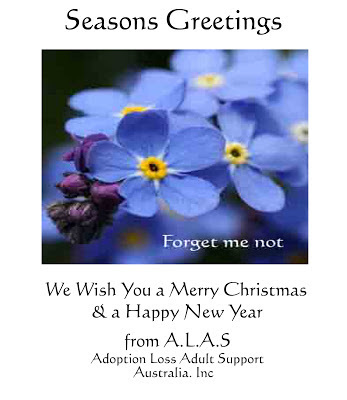 ALAS and it's members are delighted with this apology and the wording used. It showed sensitivity to our adoption experiences. Our thanks to the current and past Directors of Professional Standards for listening to our plight over the past 3 years resulting with this apology.